Download the Modded apk or Cracked apk file for Jio TV play and enjoy the JioTV Live TV & Sports App on your Android device without any Jio SIM. You can also watch Star Channels on JioTV without Hotstar app. JioTV is one of the most downloaded Live TV app on Android. JioTV offers. JioTv offers 700+ channels including 60+ HD channels spread across 10 genres and 15 languages. It is one stop destination if you wish to watch Indian programmings on your smartphone. But with this Mod apk, you can enjoy the JioTV app without Jio SIM. With the Mod Apk you can watch the JioTV Play without the ID & Password just downloading the Modded Apk file which does not require you to even download the MyJio App nor does it require you to enter the Jio ID and Password. You can simply use JioTV without Jio network. Just download Jio TV from Play Store, now it will ask for Jio ID and Password. Log in using the Jio credentials and watch Live TV on your Android for free. No Mod APK is required in general to play the TV, all you need is ID and Password. ⇒ You need a Jio ID and Password for the App to function. Jio has changed its manifest code due to which it is not able to run on any other network without a Jio ID and Passcode. What if you Face Some Issues with Mod JioTV? Try for few attempts, you will be successful in playing the JioTV app on your smartphone. Tip – If you have a Jio 4G data, you can just simply play a channel for a few seconds and then switch to any other network or Wi-Fi. Note & Conclusion: With the Patched JioTV you can run all the channels on any network without using the Jio SIM. Though you may need a Jio ID and Password. I hope the post was helpful. Do comment below for any assistance if required. Do share the post and enjoy the mod JioTV. If you've any thoughts on Download Mod Jio TV Apk – No Need of Jio SIM, then feel free to drop in below comment box. need help to remove mandatory update for jio live tv. it is not working for me. appreciate if you could assist. i live overseas and using it on android tv box. In last update jiotv works great but past programmes are not available for all channels so plz fix in this app..
Wow… Thanks bro.. you are the man! Is there any way to hack jio cinema also? You are welcome. Does Jio Cinema aLso Ask for an update. Do you have mod apk for jio cinema also? Please give the link. Thanks bro. I will create one and upload. Do follow me on Twitter and G+ for the updates. is it working for u? What error is it showing. Please bro. I need jio Cinema mod version. Means it should work without jio Sim sane like jio tv cracked by u. Thanks bro. Please help. Send the link in ur reply. Once again thank you. I have written the post on it. You can have a site search to find. Thanks did, it’s very helpful for me. It’s shows “son of satyamurthy” movie whenever I open any channel. Plz fix this… Overall u r genius. Great app modding by u but also waiting for jio Cinema link update. Dude it’s asking jio id or jio number what to do now? Which device are you trying on. I have Gionee s5.5, Samsung tab 3 neo and htc desire eye. All those are the devices having same problem. It always shows son of satyamurthy movie whenever I open any channel on jio tv. Which Phone are you trying on? Hi am using moto but it shows unfortunately stopped. Kindly update new version of modded apk. As total userinterface also changed on new version . Hii bro..Even using that apk editor ..The app is not opening ..
Now it is not working. 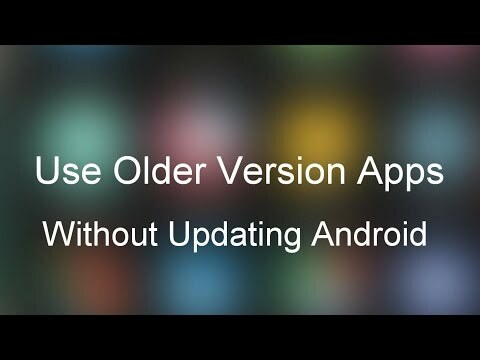 It is asking for to update the app even after changing the version via apk editor. am not getting cancell button when it gives that recommend update message. am not getting cancell button when it gives that recommended update pop up mesaage. Am on android 7.0 .. beacuse of that update pop up am not able to use it now. any help? from today the app is asking for the update any solution ? This was working till yesterday (5.1.1) version and now suddenly started saying update is available. I even tried changing the version number to 5.1.2 using ApkEditor. Still the issue persists. Can you please tell me if there is a way to get it working again? Trying in KitKat 4.4.4 based Android TV. And its over !!! They released new update !!! You have to update ..there is no cancel button ..
Have you update the app ? can’t able to use the alternative too. And save it now as we did before removed installed one and install this modified apk and you will be enjpying your tv woth old jioplay…..
Its really working… Thanks buddy… I would really be obliged if you can provide a similar working solution for getting around the buffering issue while playing JIO Play… I have a Airtel 100 Mbps VFibre connection so speed is not the issue here as I am facing the same issue on my phone with Jio sim and Jio connection…. It seems to be a streaming issue at the server end…Have also tried using VPN but it does not help..
Its really working !! Hats off to Mayank Patel……. Mayank Patel : I would really be obliged if you can provide a similar working solution for getting around the buffering issue while playing JIO Play… I have a Airtel 100 Mbps VFibre connection so speed is not the issue here as I am facing the same issue on my phone with Jio sim and Jio connection…. It seems to be a streaming issue at the server end…Have also tried using VPN but it does not help..
Can you also help to mod jio cinema. present apk file is not working. Thanks brother working again….. ??? What error is it showing? Try any other browser. select hd 1 and 2 and star sports 4 are not working plz help ? Thanks buddy we love you for this. bro your app is very good but in this new version i m unable to see the past program please do something fast. Jio TV app works , but in newer modified app only live channels can be viewed not the 7 days recorded channel. Every channel grayed out. But works well on live watching. In new update of Jio when we do screen mirroring app says screen mirror is not available. Hello Nikhil… Please update app for the latest jio tv apk as it includes additional new channels. And this apk also not showing previous episodes. It only shows live streaming. Hope you will update soon. I keep getting this error while trying to load the channel. Please help. This moded Jio TV app dont allows past 7 days programs on any device. Does not play past program. Now jio tv offer 500 chanel. Plz help me. I have id and password. Hey Nikhil facing new problem error (0*80000042) and if I’ll play with jio data it’s run smoothly. Thanks for this. In the recent updates, they have blocked videos while screen casting. Can you make a modified verison of the app that does not block it. Hey, Nikhil. Is it possible to unblock casting? Will this work with Bluestacks / Nox App player? Hello Nikhil, i had been using Jio tv on wifi successfully up until July, after which they made jio network mandatory. I only have jio login credentials, no jio data. I later used the “app apk” trick to set to the latest update on Google play while i continued using the last working version (5.1.2). It was all perfect. Could you please help me fix this..? The advantage of using this version 5.1.2 and above is we get live tv as well as recorded shows. It would be very helpful if you can help me fix this issue. If i have 4g network with full speed then why jio tv have take no speed continuously …. Some time its loding and loading!!! If i have idea 4g network with full speed then why jio tv have take full speed continuously …. Some time its loding and loading!!! I really believe this website requirements far more consideration. I’ll in all probability be again to read far more, thanks for that info. Why its not working on Idea 4G? Not working on BSNL Wifi, it opening but no program on channel is available, just blank. Same problem like shyam. It says unable to connect. Plz update this mod fast also update the jio cinema link. Still Working. Need to wait for some more time. is it possible?? can you really solve the issue?? Not compatible with your device. Can you give the list of compatible devices? Hi Nikhil, Any luck with the modded app ? Anytime soon ? My phone model is Micromax Nitro A311 , and the mod jio tv app is asking for Jio login. If possible login with Jio ID and password it will work without Jio Network. Thanks for the support. All the channels except star channels are working. Star channels still require hotstar. Any possibility to patch this please? File is corrupted. Not able to install. anyway to give chromecast support? Thanks u Mr Nikhil I’m waiting long time this update of jio TV . thank u. If u can tell me how watch jio TV in computer please my humble request . You say no need to HOTSTAR for watching STAR CHANNEL in your jio tv mod app but i don’t able to watch STAR CHANNEL.. PLZ giving reply of my query.. Thanks for your great info. Is there any update on it? Is there any better option to browse channels. It will be better if all the channels list will be seen horizontally instead of vertical listing one by one. Hi, Thanks for the app. 1. Star network apps are not getting open. 2. Zee network channels get open but don’t play any thing. Please if there is any patch available, let us know please. I am using jio TV app on Android TV. Glad it Helped 🙂 Zee Has Withdrawn all its Channels from Jio Network. And About Star, there are some technical issues which may be resolved as time will pass. Hi RD, could you tell me which android box are you using? Also, my Jio play app gives me error every time I open it. Could you give the version you are using? I am using Jio TV app on my Sony Bravia Android 4K TV. 3. If non jio, are your phone with Jio SIM and the Sony TV on the same non jio wifi network?? can u pls share a link of the app for firestick users pls…the current links open in a mobile format on tv..